Nit a screenshot but a picture. I think MX-17 will be my choice, it was easy to set it up to work through the DVI and picks up my wifi right away. 'Oh, you can't help that,' said the cat. 'We're all mad here"
AntiX. MX. It is all good. We are all brothers in a common cause. This reply was modified 1 year, 3 months ago by mrneilypops. Panasonic CF-M34 MK7. For your enjoyment. This reply was modified 1 year, 1 month ago by rokytnji. Here’s a shot of my dell d610 back from the dead. Here’s a shot of my e-machine running 64 bit on sid repo. Everything seems to run smoothly. 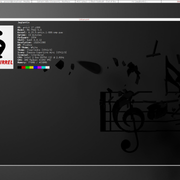 Sleek-antiX Fluxbox theme, with my deepcyan gtk theme, rox, leafpad, and newsboat. poor mans radio. All of it is still under 300mb ram use on 64-bit. Well, after playing with deepcyan theme. For kicks and giggles. 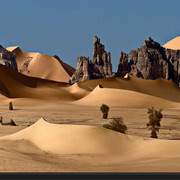 Running AntiX 15 with OrangineGTK theme. I’m probably one of the few members with biker and AntiX themed wallpapers. 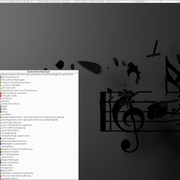 My gtk themes are as follows. Choice can be pretty also. After waiting for a while, I decided to install AntiX on my main computer (Duo 2 Core). I’m still a bit in the process of settling in but that’s the way it looks. Fluxbox with Royal Blue AntiX. 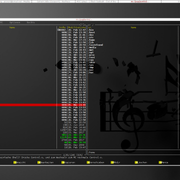 MOC as music player and MidnightCommander as file manager. I still have Thunar but I prefer to work with mc. This reply was modified 1 year, 1 month ago by jaggernaut. Fluxbox 1.3.8-2~ski and it is awesome. Still looks like a chromebook. Nice setup there Jaggernaut. Thanks for the feedback. I had just reinstalled. Now I had a few days to configure the system. I attached the pictures. 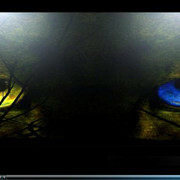 Here is a link for Fluxbox themes. 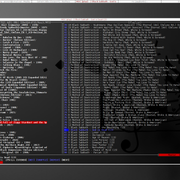 lxterminal background set to 120. I think that there should be a better ascii art for antiX in neofetch. So is there a SVG or other scalable file for the antiX logo?